Whether it’s travelling due north by icebreaker or flying in by helicopter on an express trip, to reach 90 degrees north is a dream shared by many, but achieved by very few. 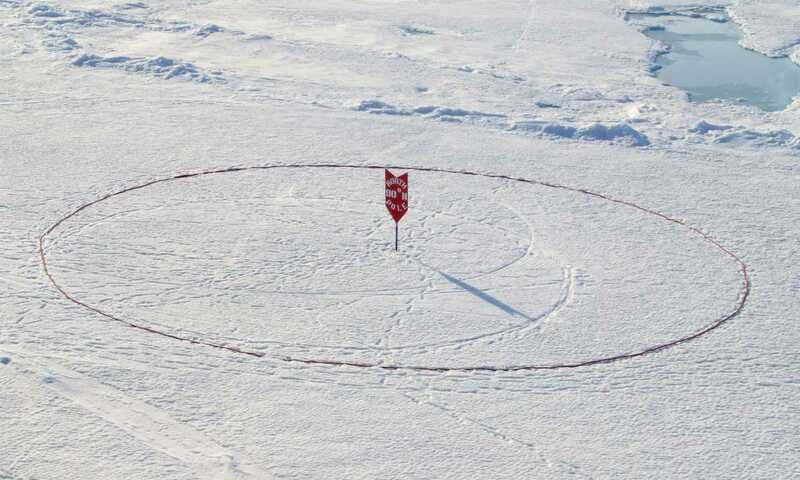 Though inaccessible for most of the year, it is possible to travel to the North Pole to bag those sought-after bragging rights during June and July when the ice is thinner, or in April if travelling via helicopter. 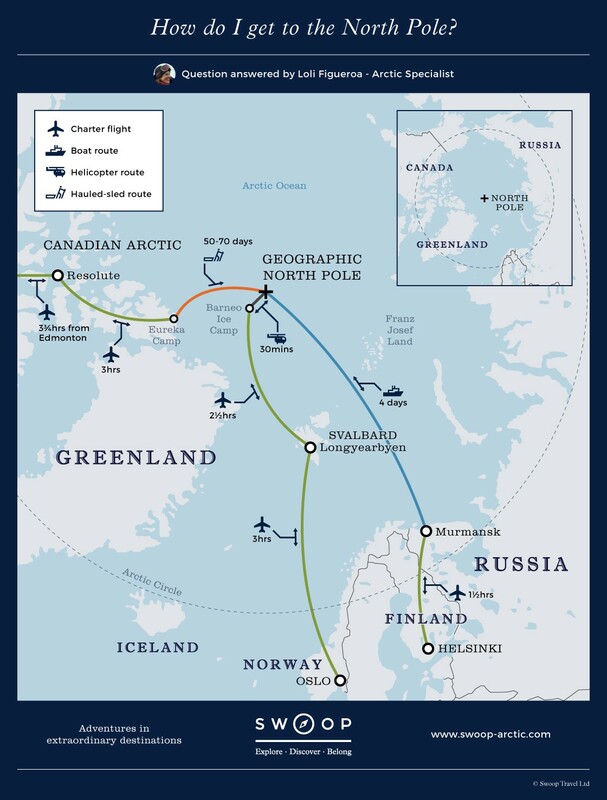 The start and end point for all North Pole voyages is Helsinki in Finland, from which you fly by charter plane to Murmansk, a city in Northwest Russia where the ship is based. 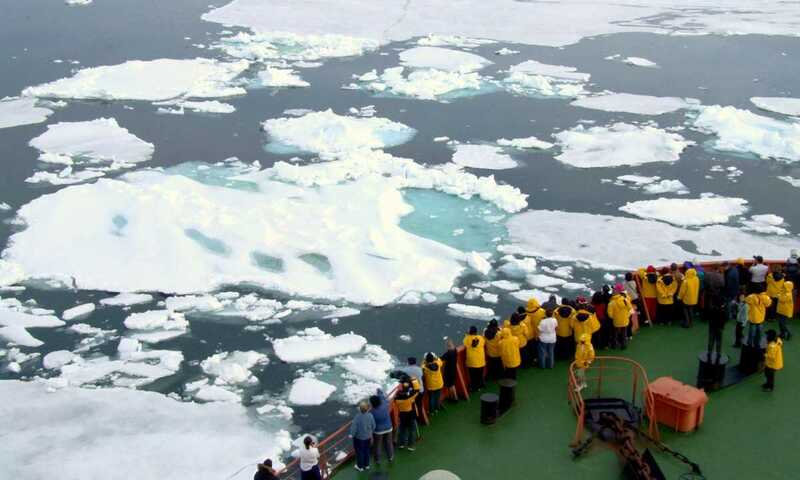 Travelling via icebreaker ship from Murmansk is the favourite route for most visitors. Crush through multi-year ice to reach 90 degrees north where you can disembark, stand atop 13,000 ft of Arctic ocean and gaze at a mosaic of ice sheets. Find more on North Pole cruises here. For those who are don't have time to make this voyage, you can fly to Svalbard and travel to the North Pole via helicopter (in April only), an experience like no other. Witness the world of white below you and touch down where all lines of longitude come together. I have been lucky enough to reach the Pole three times on board the 50 Years of Victory and each time I was blown away by the spectacle of the ship pushing through the ice. How do I get to the North Pole? During which months can I travel to the North Pole by ship? It's only possible to travel to the North Pole by ship during June and July. Outside of these months, you can consider travelling by plane and helicopter, or by the hauled-sled route. Ask our specialists for more details on your options. How many days is a trip to the North Pole? 14 days in length, excluding travel days to and from Finland. This includes 4 days sailing from Murmansk to the North Pole via Franz Josef Land, and 4 days sailing back. These days at sea are jam-packed full of lectures, time spent getting to know your fellow adventurers, and opportunities to gain valuable insights from your specialist expedition leaders. You'll also be looking out for wildlife, getting off on zodiac excursions, and preparing yourself for reaching the North Pole. How much does a cruise to the North Pole cost? From $27,995 per person, depending on which cabin category you choose. When should I start to plan my trip? With only a small number of North Pole trips each season, you are strongly recommended to book early, approx. 12 - 18 months in advance. What's the weather like at the North Pole? The average temperature during the summer months is 32F (0C), and the atmosphere is dry and the sun remains low in the sky. However, the weather in the Arctic is hugely variable, and it's worth being prepared for all eventualities so that you can be sure you'll still enjoy your trip if the weather turns.